Oliver was called to the Bar in 1999 having practiced for nine years as a solicitor in London with two leading clinical negligence firms. Oliver continues to specialise in clinical negligence matters, representing both patients and healthcare professionals. Oliver undertakes a broad range of personal injury work, including employers and public liability cases, road traffic litigation where he as has been widely involved in low velocity impact “LVI” cases and in credit hire. He has particular experience of costs litigation having conducted many detailed assessment hearings for both paying and receiving parties. Strong on statutory unenforceable arguments in particular under the cancellation of contracts made in the consumer’s home or place of work regulations. Oliver has particular experience of costs litigation, having conducted many detailed assessment hearings for both paying and receiving parties. 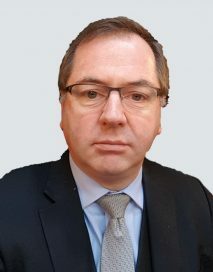 Oliver is an experienced advocate at inquest hearings involving industrial disease, deaths in custody and deaths due to potential clinical negligence. BA (Hons) 2:1 English, Music, Greek and Roman Civilisation, University of Durham CPE, Newcastle upon Tyne Polytechnic.